New York City-based nail artist, Maki Sakamoto, has put forth a bizarre yet elegant series of nail art concepts--which I find exhilarating. Her inspiration for her designs ranges the gamut, from left-wing politics ("a left hand with the symbols for different socialists parties on each fingernail," and the right hand simply painted black), to ideas of whimsy and influences of fashion. Maki seems to approach fingernails like miniature canvases, and uses remnants of Japanese art and culture as her point of departure.. I'm booking an appointment for one of these wild 3D nail creations before summer's out, for sure! 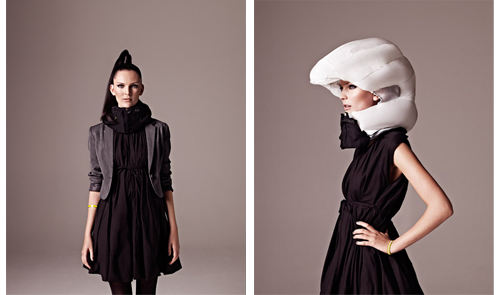 Check out the Forbes article on this ambitious female duo and their truly brilliant design.